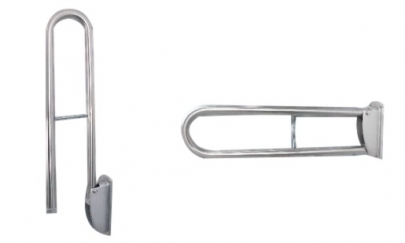 Although intended for senior citizens, this is a convenient support bar/railing to be used in the bathroom for all ages. It is a grab rail that is ideal solution to ease the discomfort experiences by some while sitting down or standing up inside the bathroom. Being spring mounted the rail moves up when not required thus saving space. This product has undergone 100% quality checking. Safe, comfortable, foldable and space saving. May be used in bathroom and closets.